In our house, it’s a tradition that Mrs. Claus sends a little gift. It’s typically what I’d consider a sensible “old lady” gift. So if the girls are low on socks or underwear or long underwear, that comes wrapped up with the other items on Christmas morning. This year the girls are fairly well-supplied, so when I saw some of those adorable slipper socks at Kohl’s, I snapped them up. Both of them spend quite a bit of time cooing over items that are super-soft, which these are. 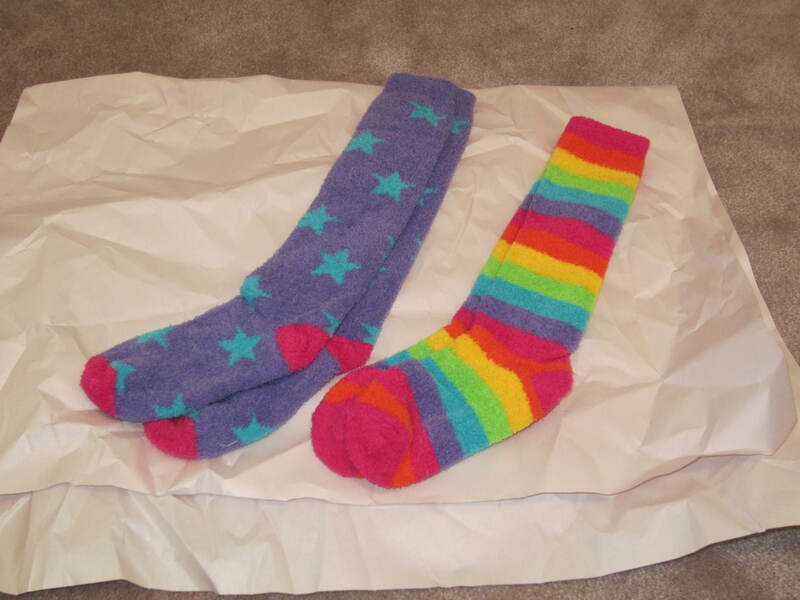 They had socks that were shorters, but these knee-high ones were just so cute and knee highs seemed extra cozy. Both girls love purple and turquoise, so when I saw that they came packaged in two pairs, I couldn’t choose who would have what, so in the grand Christmas tradition, I got two for each of them. The other slightly annoying hitch is that the while the shorter socks had little non-skid pads on them, these had nothing. Dang. So I had to get crafty. 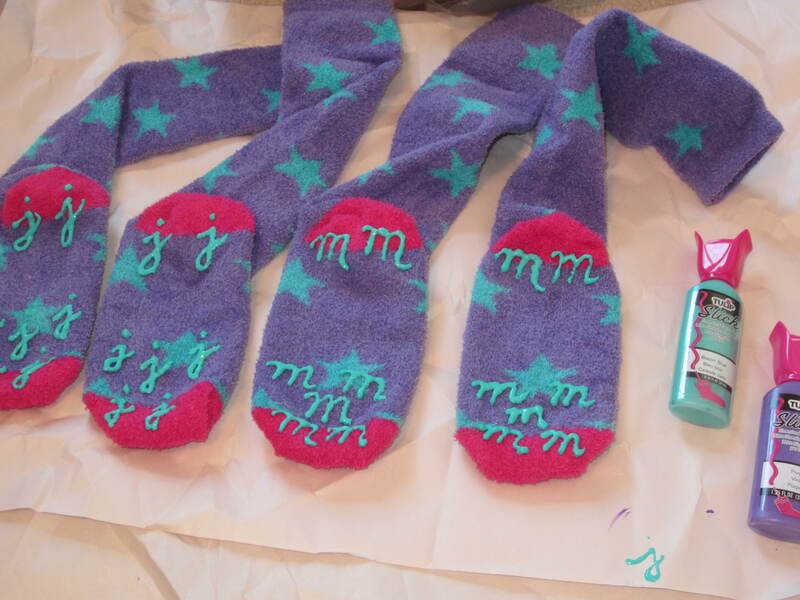 Have you ever heard that you can use fabric puffy paint to create a non-skid surface? I decided to go for it. And, since they have the exact same socks, I figured that I’d skip a polka-dot or striped pattern and identify the socks by initials. Ta da!